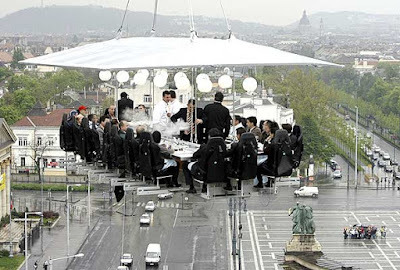 Would you like to have Dinner in the Sky? If you’re afraid heights, I suggest you stop reading right here! Dinner in the Sky is a unique event meant for anyone who wishes to transform an ordinary meal or meeting into a magical moment that will leave a lasting impression on their guests. Breakfast in the sky, lunch in the sky, cocktails in the sky, meeting in the sky, internet café in the sky… there is no limit to your imagination. It is hosted at a table suspended at a height of 50 metres by a team of professionals. It accommodates 22 people around the table at every session with three staff in the middle (chef, waiter, entertainer…). This may be fun for a few minutes at the most, but why would you want to sit up there for an hour and enjoy a three course meal? It would be a little freaky to see your feet dangling about. And what if the cord snaps or you need to use the restroom? Or what if someone is choking? Visit the website here and definitely watch a few minutes of the Dubai Video if you have a chance, the music is a bit annoying though. Now that we’re on the topic of going “Green”, why not take this a step further? Are you ready for this? Do you know what Emerson, Thoreau, Newton, Gandhi, Van Gogh, George Bernard Shaw, Leo Tolstoy, Mark Twain, H.G. Wells, Leonardo Da Vinci, Darwin, Edison, Einstein, Plutarch, and Pythagoras had in common? They were all vegetarian. Dino has also been following a vegetarian diet since the past few years for ethical reasons and health benefits, and here are a few reasons for you to do so. 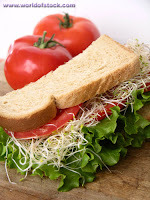 Vegetarians live about seven years longer than meat eaters, according to a study from Loma Linda University. Cardiovascular disease is still the number one killer in the United States, and the standard American diet (SAD) that's laden with saturated fat and cholesterol from meat and dairy is largely to blame. The International Journal of Cancer concluded that red meat is strongly associated with breast cancer. Each day, 22 million animals are slaughtered to support the American appetite for meat. The average bone loss for a vegetarian woman at age 65 is 18 percent; for non-vegetarian women, it's double that. Right now, 72 percent of all grain produced in the United States is fed to animals raised for slaughter. It takes 15 pounds of feed to get one pound of meat. But if the grain were given directly to people, there'd be enough food to feed the entire planet. Go ahead, do your own research and then make a choice to switch. Dino is sure there’s a valid reason why all these celebrities have decided to follow the veggie route. View the entire list here. And the final word by George Bernard Shaw - "While we ourselves are the living graves of murdered beasts, how can we ever expect ideal conditions on earth?" How are you contributing towards Earth Day? 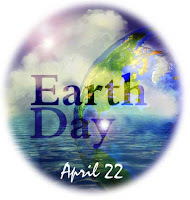 Today is a day when we combine our efforts to save the planet or at least reduce our harmful behavior towards it. It’s not really that tough going green, it just requires simple awareness. Dino has decided to implement the following changes into his daily routine to reduce his impact on mother Earth and save a few bucks. The changes listed above are not as drastic or inconvenient as planting a tree. Contradictory to what Kermit the frog says – It really is easy being (going) Green!! WTF? Now, It's Mark T? Now, this is just plain weird. Dino’s previous post was a tribute to Albert Einstein on his death anniversary and today’s post (April 21st) is a tribute to writer / humorist Mark Twain on his death anniversary. Hopefully, another wise man did not pass away this week. Here’s a little bit of Mark Twain’s witty wisdom to ponder upon. Today is the death anniversary of the great physicist Albert Einstein, and instead of sharing his biography here, Dino has decided to post a few of his quotes. Feel free to spend some time and absorb these thoughts. Imagination is more important than knowledge. Imagination is everything. It is the preview of life's coming attractions. Are you free for the next 17 months? 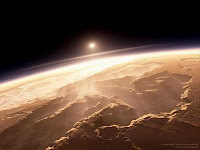 Just in case you don't have anything planned for the next 17 months, it may be quite adventurous to sign up with the European Space Agency for a simulated trip to Mars. Volunteers will be isolated in a space craft (located in Moscow) for 17 months, and the only link to the outside world would be through a radio – with a realistic time delay such as the real astronauts would face. The goal is to gain insight into human behavior and group dynamics under such conditions. The volunteers would experience weightlessness, radiation, a high workload in cramped conditions, lack of privacy, and limited supplies. Besides that, the volunteers can enjoy a simulated launch, outward journey of up to 250 days, and a return home. If this sounds like something you’d be interested in, here are the details: In all, 12 European volunteers will be needed. They must be aged 25-50, be in good health, have "high motivation" and stand up to 185cm tall. Smokers, or those with other addictions, to alcohol or illicit drugs, for example, will be rejected. Knowledge of both English and Russian is required and volunteers will be paid 120 Euros (US$ 158) per day. Unfortunately, Dino does not qualify, but if you don’t have anything planned for the next 17 months, and enjoy working in cramped environments while being exposed to large amounts of radiation, then go ahead and apply. How could you reject such an offer at 120 Euros a day? UK Prime Minister Gordon Brown has unveiled a new ‘Golden Rule’ for his country that he says reflects the values of the Sikh community. Simply put, he praised the Sikh community for its values of tolerance, equality, justice, and treating people with fairness. Brown toured the Gurdwara and was honored with an orange robe. The essence of Sikh teaching is basically the realization of the Truth and truthful living. Sikhism believes in equality of all humans and rejects the caste system. It’s a pity that he needs to remind the well-educated people of his country about these simple virtues that are the foundation of every religion. Dino hopes that his message was loud and clear and touches the lives of as many people as possible. Sometimes it's difficult to decipher subtle signs form the universe, but if a message is constantly flashing in your face (or computer screen), then there is definitely a reason behind it. After a well deserved three day break from writing, Dino decided to search for an interesting topic for today’s post. The moment Dino hit the Internet this morning, the word “Yoga” flashed on his RSS feeds almost 3 times in the first 5 minutes. This is clearly a sign, why look further? After learning about the benefits of Yoga, Dino decided to give it a try. He has been practicing regularly twice a week for almost 6 months now. Although, he wishes that he would have started much earlier, while his body was a bit more flexible and not as stiff as a bamboo, but it’s never too late. The results are noticed after just a few sessions. Click here to view a list of benefits. To shift attention away from Dino’s results, it would be more realistic to share the findings published by other organizations. First of all, it slows down aging, who doesn’t want to look and feel younger? Several studies have shown that yoga has prevented several lifestyle diseases, which come with ageing — namely cardiac, respiratory and bone diseases, says Dr Subhash Manchanda, former head, cardiology, at the All India Institute of Medical Sciences (AIIMS) and vice chairman, World Academy of Spiritual Sciences. Secondly, it’s a form of activity that thoroughly massages all the internal glands and organs of the body. A Philadelphia report also suggests that elderly women showed measurable improvements in their walking speed and balance after a nine-week yoga program -- and they gained a centimeter in height, on average. Recently, Yoga centers have been cropping up everywhere and attracting a much younger crowd. As Dino had mentioned earlier, try to get away from your desk at the office, and get some exercise, this will definitely boost creativity and flexibility. 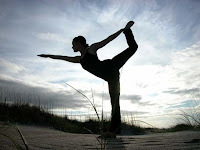 Go ahead, sign up for yoga class in your area and begin stretching, then come back and post your comments on this page. Dino has been perfecting his boxing skills for the past two months or so, but there is no way he would enter the ring with Buddhiman Mangar. Apparently, this 68 year old man from some village in Bengal survived a bout with a leopard by punching it several times in the face. The great Buddhiman was returning home on a Sunday along with his cow, when he was attacked by a leopard. The battle lasted for a good half an hour before the leopard gave up and retreated. Imagine the embarrassment on the leopard’s face when he returned to his pack without the dinner he intended to bring back. Hopefully, his black spots blended in with the blows on his face. Dino always believed that he was Mr. Incredible, but now that thought has been dropped. Yesterday, Dino considered purchasing the Asus Eee PC . 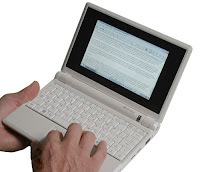 This notebook is incredibly small, with a 7” screen and weighing a mere 0.92kg. Runs linux or WinXP, includes an Ethernet interface, WLAN, up to 1GB of memory, 8GB solid state drive, and a built in camera for about US$ 499. 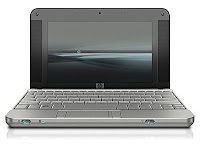 Today, HP is offering the HP 2133 Mini-Note PC at the same price and includes half the amount of memory and disk capacity as compared to the Asus Eee. However, for $100 more, it can be upgraded to 1GB of memory, a 120GB hard disk, and Windows Vista OS. Oh, and the screen size is almost two inches wider. Dino is wondering if he should wait a while to see if another company releases something BFC (better, faster, and cheaper) or go ahead and order the HP 2133 Mini-Note PC. Decisions, decisions, decisions. Now, where’s the credit card? Do you realize how blessed you are? How much time out of the 86,400 seconds per day do we spend ‘running around’ and doing things as quickly as possible? From the moment we wake up, we’re on the go. Rushing to drop the kids off to school, rushing to the office, rushing to complete the assignments, rushing back to pick up the kids, rushing with the dinner, then the laundry, then some exercise, and on and on. If you feel this way, fear not, you aren’t alone. Dino is facing the same problem on a much more minute scale. At one point in his life, Dino did complain about the lack of time and the mundane tasks, however, over the years he has realized how blessed he is to actually have tasks to complete and an opportunity to complain. The simple awareness of this fact has changed his perspective of life and he is now grateful for every moment granted to him. Do you realize how blessed you are? Imagine if we could turn the population of the earth into a small community of 100 people. Keeping the same proportions we have today, it would be something like this: 12 people have a computer and 3 of them have an Internet connection. If you have food in your refrigerator, clothes in your closet, a bed to sleep in and a roof over your head, then you are richer than 75% of the world’s population. In addition to that, if you have a bank account, you are one of the 30 wealthiest people in the world. Now you know how blessed you are. Check out this video. Today is ‘No Honking Day’ in Mumbai; this is the first of its kind to raise awareness of the effects of honking and noise pollution. Mumbai has a population of almost 15 million, 1.5 million vehicles including taxis and rickshaws, which amount to about one vehicle for every ten people. If you’ve ever visited Mumbai, I’m sure you’ve experienced the traffic congestion and insane amount of honking that makes this city so vibrant. Although, after a while it does become quite annoying. 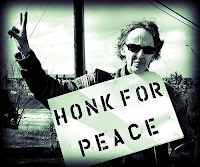 ‘No Honking Day’ is a great initiative by the government and even if they can get the public to follow this once a month, it would be a well deserved mental relief. However, Dino still doubts the success of this campaign, it must be seen to be believed, no wait – that would be ‘heard’. Imagine a day when all our electronics are switched off. No access to the Internet, no signal on our cell phones, microwaves, watches, elevators – all powered off. Hard to imagine isn’t it? Do we really appreciate or wonder how much time, effort, and intelligence is poured into developing such electronics that we take for granted everyday? Dino has already admitted that he is a tiny bit of a geek, and one thing that always fascinates him is Space exploration. Understanding how computers, cell phones, TVs, home appliances, etc are designed is quite simple, but a Space Shuttle? Take a look at the pictures of a space shuttle being assembled. In reference to Dino’s previous post on simplifying his life and going offline, he came across a few facts that clearly indicate the benefits of doing so. Here’s one tip, reduce long hours at the office. If you do need to be present at the office for endless hours, then try to take frequent breaks. Dino frequently walks out of the office for a few minutes to enjoy the fresh air (away from the smokers) and align his thoughts. Great ideas have poured into his mind during these few minutes (one was the creation of this blog), and once he returns to his desk, the next hour or so is a lot more productive. All great leaders took time off their daily routines to “reflect”. Philosopher Michel Foucault would only work from 9am to 3pm. Beethoven only worked from sunrise until the early afternoon. No twelve hour days here. Socrates would sometimes simply stop and hold completely still for several minutes. Long periods away from their desks every day gave their minds time to recover and regain its creativity. Is Dino saying that he is great? Absolutely NOT, but he is on his way to greatness. So, go ahead, relax, exercise, meditate, and please don’t work at the office all day long – no good can come of this. Dino is a tiny bit of a Geek, there is no doubt about this. This geeky-ness drives his curiosity and passion about pretty much any subject from science, technology, philosophy, to psychology. Dino could spend hours watching the Discovery, History, and National Geographic Channel as well as countless hours online browsing through reviews of the latest gadget or a new psychological discovery. In this day and age, there is an overflow of information in the media, and it’s impossible to keep up to pace with all that’s being discovered. Trying to stay ahead of all this is truly mind boggling. Dino has decided to simplify his life by cutting down on everything that is an unnecessary waste of time and energy. Internet activity has been drastically cut down (especially the RSS feeds), and time spent watching TV has been significantly reduced to not more than 1.5 hours per night. Instead, Dino is investing more time outdoors in nature, exercising at the gym, trying out boxing, stretching in a yoga class, connecting with the divine through meditation, and participating in other activities or volunteering. The only Geeky thing Dino will be doing now is studying for the CWSP certification exam, which is his next challenge. Now, go ahead, simplify your life! According to an article in wired magazine, the US troops returning from war may soon receive treatments through alternative methods such as Yoga, Reiki, or other energy related healing. The Army just unveiled a $4 million program to investigate everything from "spiritual ministry, transcendental meditation, and yoga" to "bioenergies such as Qi gong, Reiki, and distant healing" to mend the psyches of wounded troops. Cost is one of the reasons that the army is considering alternate means of treatment. Nearly 3,300 troops have suffered traumatic brain injury, and the lifetime costs of treating these ailments could pile up to as much as $35 billion, a Columbia University report guesses. Dino is glad that the world is finally turning towards alternate medicine as a healing technique. The cost is definitely lower and there aren't any side effects. Such methods will also raise the spiritual awareness of the troops, and thus make this world a more peaceful place.